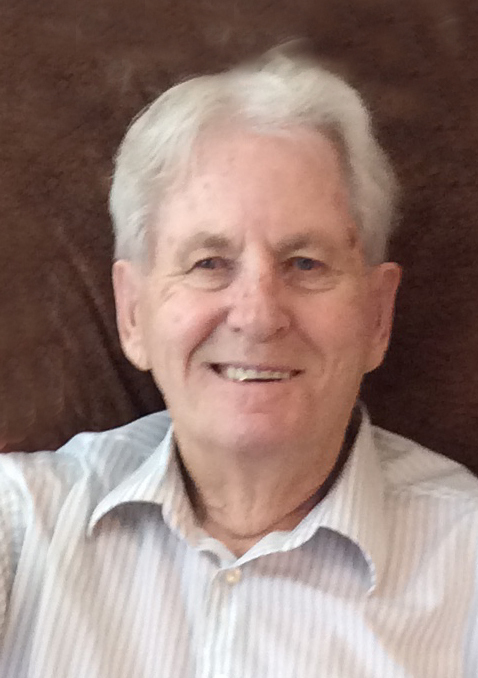 Walter Bell passed away with family by his side, in his hometown, at the Coronation Hospital and Care Centre, Coronation, Alberta on Thursday, April 4, 2019 at age 89 years. He was only back for two weeks, from 30 years of retirement in Calgary and area. Walter was the Mayor of Coronation for most of the 1960s, as well as town councillor; assuming a leadership role or participating in the development of several community initiatives. He shares credit for the introduction of natural gas heating for Coronation homes and businesses, and golf course improvements; as well as ice arena and swimming pool construction. He was also Fire Chief, Chair and member of the Hospital Board, a member of the Board of Trade, and one of the local volunteer caretakers for the Coronation Cemetery. Walter was a well-known Coronation grocer from the 1950s, until the end of the 1980s. He and Pearle, his beloved wife of 56 years, were partners in Bells Food's Ltd. and Pearle's ladies wear (formerly the Style Shoppe) until 1989, representing more than 40 years of Retail Service to Coronation area customers. That year, retirement followed at their cherished acreage on the outskirts of Calgary. With Pearle's passing in 2010, Walter settled into a Retirement Residence in the city, living independently for nearly 10 years, until requiring Calgary Hospital care in late February 2019, prior to his transfer to the Coronation Hospital, to complete full-circle a life well lived in service to others. Walter’s family was always so very proud of his loyalty and devotion to family and friends, plus his determination to pilot any family or community endeavour. He was active in all levels of government, municipal, provincial or federal. Well-respected by his political connections, Walter was often responsible for sourcing funds for community projects. Philanthropy was also a trademark for Walter along with his benevolence. During retirement at his Calgary acreage, he was recognized for his dedication to driving cancer patients to and from treatment. His charitable resolve (Walter was a friend to all strays, whether people or small animals) was probably a result of childhood hardships in Hardisty, bringing home pennies from boyhood jobs (like his siblings) to support his widowed mother and each other. Walter was the second son of N. Ireland parents, and he was born on their Canadian homestead at Choice, Alberta, East of Battle Bend along the Battle River. His father William passed away during Walter's pre-school years at Choice. Walter was proud of his N. Ireland heritage, exchanging visits with family and friends several times in life. He and Pearle, who married in March 1954, also travelled to many other parts of the world. Walter is survived by his immediate family, starting with Pearle's four children from her first marriage to Alister McKenzie (deceased) of Coronation; Hugh (Eleanor) of Carstairs; Fern Marks (Cam) of Balzac; Donnie of Rural Coronation; and June Ruttan (Rod) of Calgary. Walter and Pearle are parents to; Dixie Bell-Sankey (Darryl) of Calgary; William/Pat Bell (Judy O'Brien) of Calgary; and Shannon Bell (Keith Pieper) of Lacombe-Coronation. Walter was adored by Bell family nieces and nephews. Walter was predeceased by his mother, Margaret, in addition to his first wife, Marjorie (nee Formanek) of Coronation, as well as a brother, Sam and sisters, May, Annie and Doreen. He was also predeceased by Pearle's brothers, Jack and Stan and her parents, Henry and Mabel Nelson from Fleet. Walter shares two grandchildren from his marriage to Pearle, along with seven grandchildren from the Pearle/Alister family tree which includes new generations of both great grandchildren and great greatgrandchildren. There are no plans for a service. A gathering to remember Walter (along with his motto: Press on Regardless) will be held in the near future. Walter's family is grateful for your thoughtfulness and sympathy. Flowers and donations are appreciatively declined. Instead, we encourage you to continue your special relationship with him through acts of kindness and generosity.